Cadre restructuring process in Indian Railways has brought out fissures within the employees ranks, as Group B officers feel the exercise will hit their promotion aspects very hard. Even as exploring the legal options, Promotee Officers Association (POA) have started flexing muscles, even warning of staging gherao at Railway Board to ensure their interests are not hurt. Vivek Prashar, Organising Secretary, POA, South East Central Railway Zone, let the out the feeling among promotee officers, claiming that direct officers in Group A are trying to abrogate Group B posts from Indian Railways. 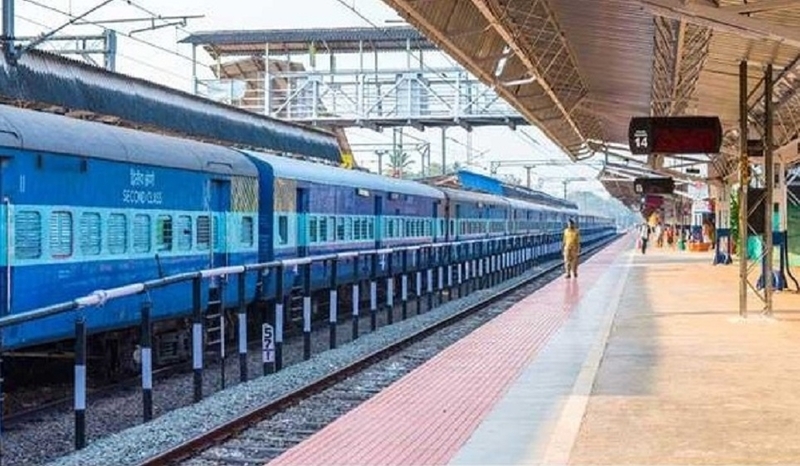 The current exercise as approved by Railway Board envisages creation of additional posts in Group A level that would ensure faster promotion for officers selected through Union Public Service Commission (UPSC). This would ultimately come at cost of sacrificing interest of Group B posts, said Parashar and directly impact future career progression for promotee officers. As per the plan, Board wants to cut down on Senior Scale posts, means there would be surrender of nearly 22 to 25 per cent in that cadre. This is directly against interest of Group B officers as in future reduced number of posts would automatically create further stagnation in their ranks. Against this cut, Group A officers will increase their posts that at Senior Administrative Grade (SAG) and of Principal Head of the Department (PHoDs), even otherwise they are getting non-functional upgradation in time bound manner. With addition posts, faster functional upgradation will occur to ensure assured career progression among UPSC officers. This top-heavy approach is however not in best interest of the administration and Railways in general, felt Parashar who further said it is going to harm the travellers interest in long run. The restructuring on current formula is a doom for current Group B officers as not only their advancements option are going to be limited. Posts of Divisional Engineers, Divisional Personnel Officers, at Sr. Scale would come down thereby further aggravating discontentment at lower levels. Parashar further pointed out that Group B officers are basically in supervisory role and they are the backbone of Railway administration. So it is beyond logic as to why Group A (direct officers) wants to tinker with well oiled and effective working pattern by limiting promotion avenues in Group B and ahead their advancement into Group A. In future if there is no further advancement for Group B officers, lower run employees would not aspire for promotion. Those working as Junior Engineer and as Assistant Engineers would no longer be interested in taking up posts of Divisional Engineer, that is one step ahead, as after that one would not be in position to aspire for promotion in higher grade due to absence of posts, Parashar further claimed. Even otherwise the Group B officers are not getting promotions on time due to delay in holding Department Promotion Committee (DPC) as meeting are delayed by six to seven years, Prashar alleged. So we have officers stagnating at mid level for 12 to 15 years in one post due to delay in clearance from DPC. The stagnation has already dented their morale and further restructuring proposes to do away with future hope of promotion by reducing supervisory posts. As against this Group A officers who join in junior ranks see their promotion accelerated and they supersede senior officials working in Group B ranks. Even employees working in Group C category now have minimum assured career progression with a promotion every ten years that ensures financial benefits also. But for us in Group B till the promotion to next higher posts, non functional upgrade is also not granted. So one can imagine the future where only Group A and Group C employees would only remain in Indian Railways. The scenario would be that Group A officers will take up work in supervisory level resulting in devaluation of work. In short, staff side supervisors would get eliminated and the top heavy cadre would mean five SAG level officers in every Branch at Headquarters, Prashar informed. Parashar also was critical of approach of two recognised federations, National Federation of Indian Railwaymen and All India Federation of Railwaymen for their silence on the restructuring exercise.